While the days of sending a newsletter email blast to your entire marketing database are over (or should be), email marketing isn't dead. In fact, if you do email marketing right, you can generate tons of new leads. "But I'm only emailing my existing leads," you might say with trepidation. 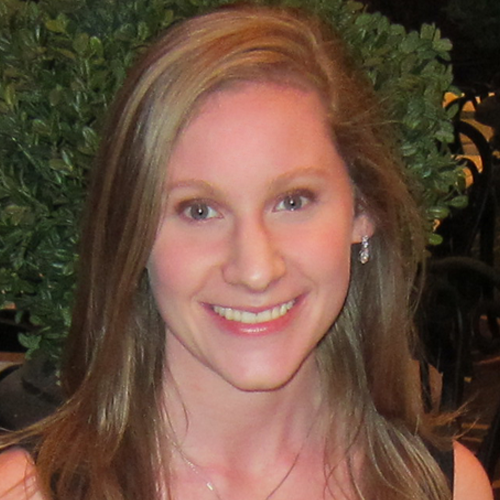 "How can I possibly get new leads from my email marketing?" Simple: Get your leads to do your email marketing for you by encouraging them to share the offer they just signed up for with their friends and colleagues. This is easier to accomplish than you may think. 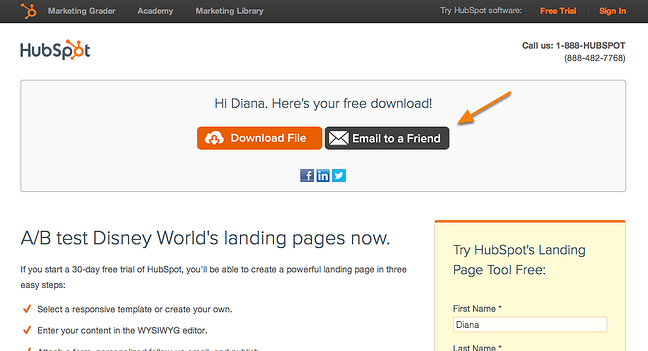 In this post, I'll walk you through how I've set this up for HubSpot and how we generate 500-600 new leads per month just by adding a simple button to a few of our marketing assets. First, you'll want to create a clear call-to-action encouraging your leads to share your content via email. Here's what we use at HubSpot -- feel free to save and use these images. Once you add one of these buttons to your website or email, turn it into a customized mailto link. It's basically a hyperlink that uses mailto instead of http://, so when a lead clicks on this button, a new email compose window pops up instead of a link to a website. Email is a form of social proof -- the concept that "if other people are doing it, and I trust those people, that's validation that I should also be doing it." While most marketers speak of social proof in the context of social media, email can be more effective at driving new lead gen than social media. In fact, in an average month, HubSpot generates 17x more leads from email sharing links than social media sharing links. There are three key places where we encourage our leads to share our content. After a lead fills out your form to receive a marketing offer, that's a great place to encourage them to share the offer with their friends and colleagues. 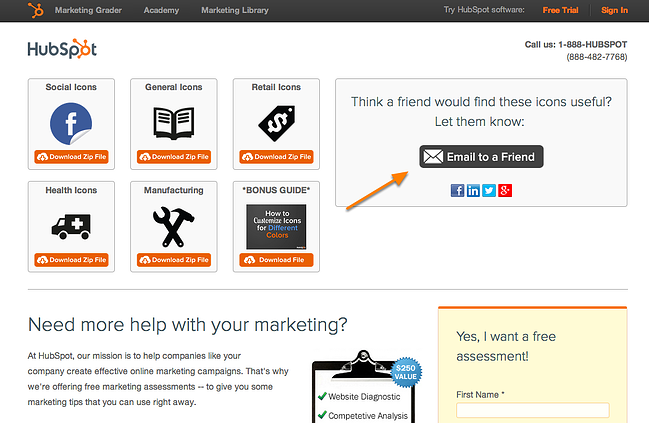 Here are a couple examples of how we've included these buttons on HubSpot's thank-you pages. Hopefully, your email campaigns will be highly targeted to specific segments of your leads. 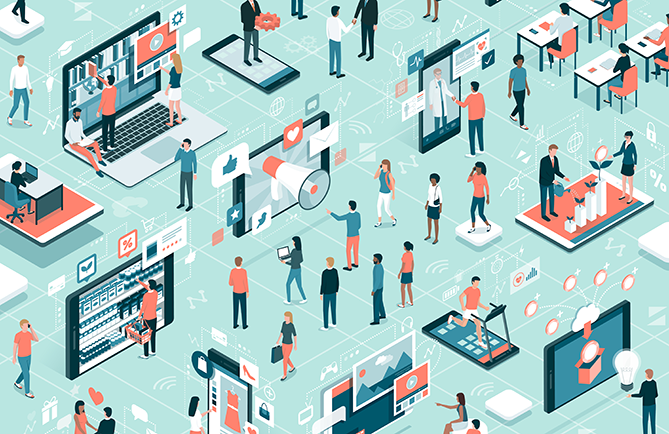 But even if this is the case, there are some offers you may promote in which your recipients may think their friends or colleagues will enjoy the content, too. In that case, give them the opportunity to share your offer. 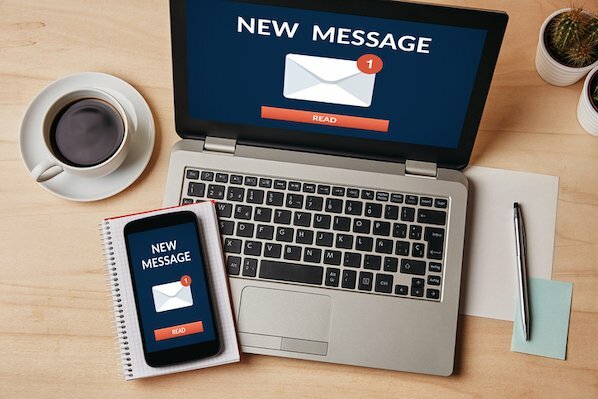 When creating the customized message in your mailto link, be sure to include a tracking URL so that you can track how much traffic and leads your "Email to a Friend" buttons generate from the leads who sent these emails. 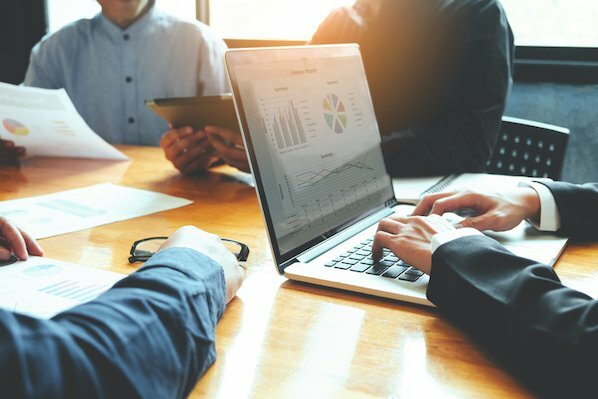 Then, you can use HubSpot's Sources report to see exactly how much traffic, how many new contacts, and even how many customers resulted from your "Email to a Friend" button. 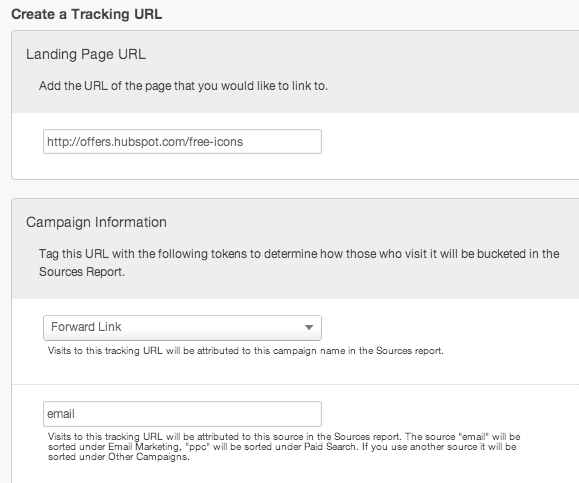 If you do not use HubSpot, you can use a URL shortening service like bit.ly to track how many times people click on the link within the email. However, you wouldn't be able to track the number of leads or customers generated. 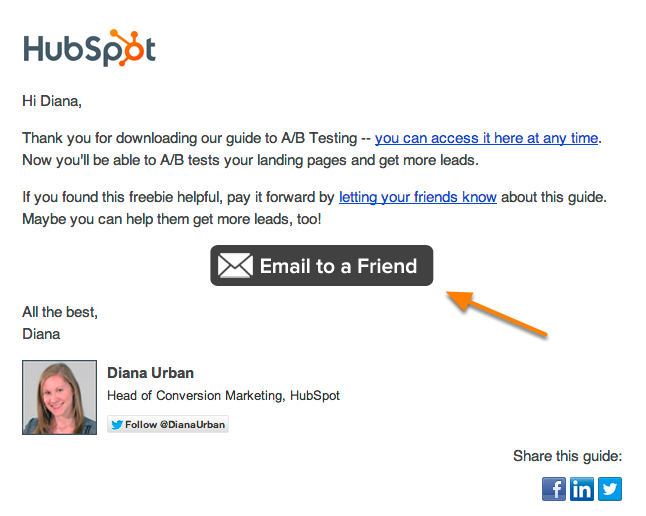 So if you're looking to get more juice out of your lead generation machine, try out this "Email to a Friend" button. Who knows -- with this simple addition, maybe email marketing will become a top lead generation channel for you too! 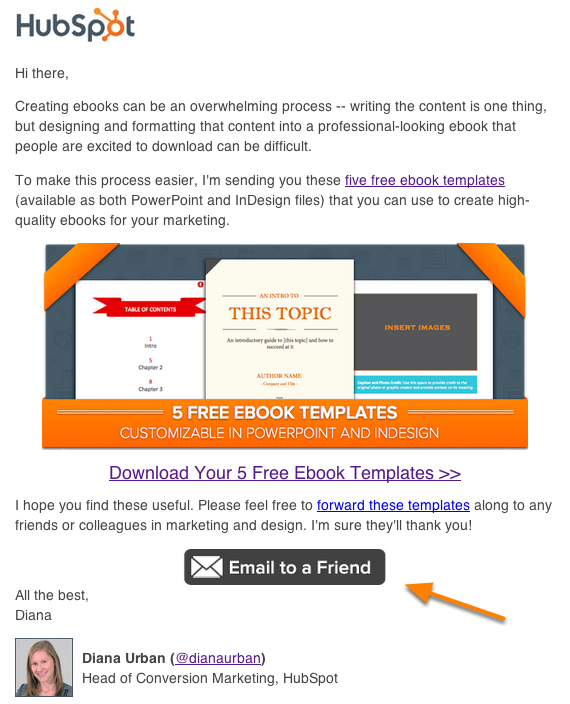 Do you encourage your leads to share your content with their friends? If so, I'd love to hear about your strategy in the comments below!